This concept for a self-driving mobile medical clinic by Seattle studio Artefact includes diagnostics powered by artificial intelligence. The Aim platform relies on a mobile app and set of home devices that constantly track the user's health. These would include a mixture of automatic monitoring, self-reporting and active testing, which could be done from home. Aim could also register changes in users' voices, and use the data to measure emotional wellbeing. The platform could potentially be integrated into other Internet-of-Things devices to extend its reach. 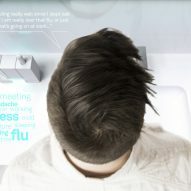 Over time the system would be able to build up a bank of data about the patient, and also connect to a roving clinic. 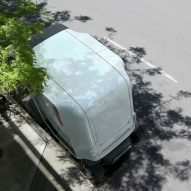 This self-driving vehicle would offer a series of more in-depth tests, which an artificial intelligence (AI) – in the form of a guide shown on a wraparound interior display – would lead the user through. 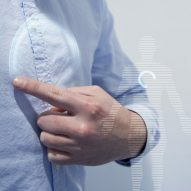 Augmented reality could also help users point to problem areas using on-body projections, and describe specific symptoms. An on-board pharmacy could carry a constant supply of the more common drugs, so it's able to dispense medication instantly. 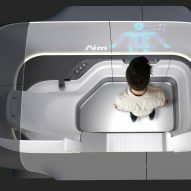 By using autonomous clinics, Artefact suggests the Aim system could avoid long waits and provide more tailored healthcare. Patients can received diagnoses and further information directly through their app. For cases that require a specialist, users can hold a video call through the app, which can also summon emergency transport. 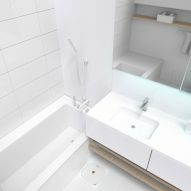 "The mission of Aim is to close the data, experience and logistical gaps between home and clinical environments," said the studio. "Our vision for a scalable, holistic concept of healthcare service delivery gives patients autonomy, while helping care organisations successfully triage cases, manage the burden on the system and allocate resources effectively," the team continued. Artefact was founded in 2008, and works across several fields of design including industrial and interaction, as well as developing software, concepts and prototypes. It's collaborated with brands including Microsoft, Sonos and Amazon, and designed several healthcare concepts, including electronic glasses that help legally blind individuals to see and an app to support women after breast cancer. 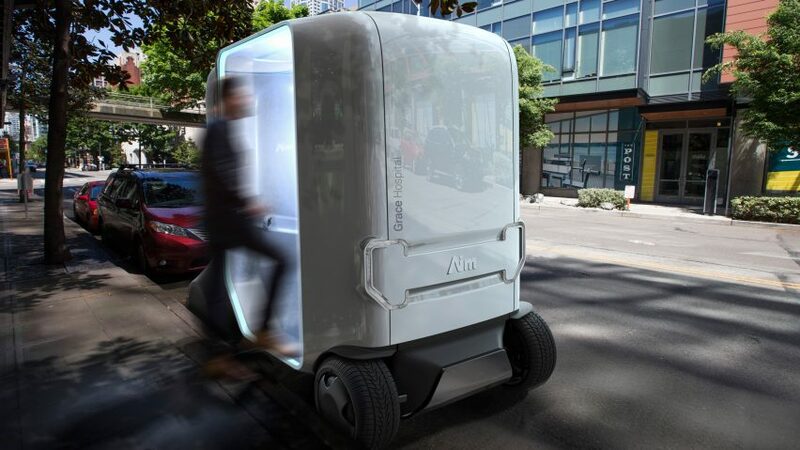 A similarly autonomous system has been created by retail startup Wheelys, which has designed a prototype self-driving grocery store that could travel about during the day and re-stock itself when needed.